Once again, we are pleased to announce several Zurich Master Class events which will be open to the general public. These events offer film lovers the opportunity to rub shoulders with internationally-renowned film professionals, and to gain an insight into their work. 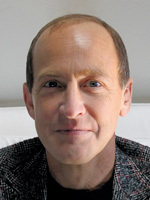 Qualified political scientist Charles Ferguson received an Oscar in 2011 for his controversial documentary film INSIDE JOB, which analyses the 2008 economic crisis. He also received a nomination three years previously for his first documentary film NO END IN SIGHT, which highlighted the situation in Iraq after America’s invasion in 2003. Ferguson is currently working on a project about Wikileaks founder Julian Assange. INSIDE JOB will be screened within the framework of this year’s Zurich Master Class. In the discussion following the film, Ferguson will explain why it is important to get to the bottom of the maladministrations of our time. Born 1963 in Mexico City, director, producer and screenwriter Alejandro González Iñárritu is known the world over for his powerful anthology films. In his ‘death trilogy’ AMORES PERROS, 21 GRAMS and BABEL, a tragic event takes place at the beginning of each film, bringing together the lives of its characters. Iñárritu will discuss his work in this Public Zurich Master Class. How does he arrive at his complex narrative structures? What drives him to tackle difficult subjects such as death, loss and violence? And what role does a globalised, multinational society play for him? This Public Zurich Master Class offers an insight into the multifaceted work of the Canadian screenwriter and director, who was not only involved in Oscar-winning productions such as MILLION DOLLAR BABY and CRASH, but also co-wrote the screenplays for the latest James Bond films CASINO ROYALE and QUANTUM OF SOLACE. Haggis began his career working on various TV formats, including the successful ABC series ‘thirtysomething’. How did he make the jump from writing TV series to the big screen? And how does he manage to combine his double role as a screenwriter and director with such success? The book ‘ORTE FILMISCHEN WISSENS – Filmkultur und Filmvermittlung im Zeitalter digitaler Netzwerke’ will be launched at this year’s Zurich Film Festival. Questions on film education will be examined in the post-launch discussion. This event marks the beginning of the 7th Zurich Film Festival’s School Screenings. The federal government’s new guidelines on culture promotion have led to broad discussions with regard to their purpose and function. Personalities from the fields of science and culture will explore the topic in detail at a panel discussion. 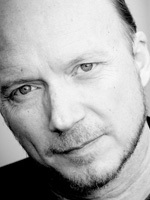 Anatole Taubman - "Inside the Actors Studio"
Internationally acclaimed swiss actor Anatole Taubman talks about his career with Zurich based casting agent Corinna Glaus. S-VoD, T-VoD, A-VoD – many abbreviations, big promises. But what lies behind the various video-on-demand formats? This panel, organised within the framework of the Zurich Film Festival, presents the players and offers an introduction to the subject. The new film promotion concept will come into effect in 2012. Several changes are expected, to be announced by the Federal Office for Culture this autumn. Following years of discussions about the revision of film regulations, this panel is dedicated to examining the concept’s implementation and the difficulties associated with it. Before the big Award Night, jury members and the Zurich Film Festival’s artistic directors will give an insight into their function. How does the decision process work? What criteria do the jury look for in a film? What makes a good film? Gripping questions on the eve of the Golden Eye presentation! - What new capital is available locally and within the global marketplace? - How to find the right projects/right partners? - When is the right moment to get involved? - What about investment criteria: do they foster or prevent good projects? Panelists: Judith Chan, Senior Manager, Coutts and Co. Participants of the forum are welcome to attend the premiere on the evening of the forum at the Festival-Cinema in Zurich City. Tickets will be available at the registration desk for registered forum participants only.